Earn a starting 25% and up to 45% revenue share commission promoting Casino Max. Legend Affiliates is lead by 6 time Gaffg Awards winner Martyn Beacon. If they’re looking for a new online casino brand to promote then affiliates might want to consider the Legend Affiliates program. As affiliates, they’ll get to promote what is possibly one of the most exciting new casino brands today: CasinoMax. Targeted mainly for the US and other affluent markets, the online casino brand already has a sizable selection of casino games despite being relatively new. In addition to this, the online casino is available on both mobile and desktop/laptop platforms. Coupled with its generous bonuses, promotions, and outstanding customer support, this online casino brand arguably has one of the best conversion and retention rates today. 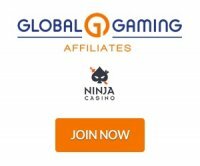 More important than the online casino’s pedigree though is the credentials of the person running the affiliate program. With Martyn Deacon’s track record, affiliates can always expect outstanding support that they’d have a hard time finding anywhere else. Thanks to the aforementioned conversion and retention rates, affiliates can also expect generous commissions that start at 25% revenue share to as much as 45% if they’re able to successfully refer depositing players to the online casino. To sweeten the deal further, the online casino also has a promotion that would give affiliates a fixed 50% revenue share commission on their first two months. And as if these weren’t enough, affiliates can also get sub-affiliate commissions worth 5% of the earnings their referred affiliates make. Legend Affiliates will promptly process affiliates’ commissions on a monthly basis provided these pass the payout threshold of $200. If an affiliate’s commissions for a specific month are equal to or more than this amount then the program will process the payout on the 15th of the next month. In the event that the commissions are less than payout threshold, the program will defer payment for a month or until such a time as the affiliates are able to meet the minimum requirement for the payout. When it comes to payment methods, affiliates can choose to receive their commissions through Wire Transfer, Check, Skrill, Neteller, and Bitcoin. Affiliates should have no problems promoting CasinoMax and any future brands thanks to Legend Affiliates’ use of the MyAffiliates platform. Through this, affiliates will have easy access to banners, links, and images that they can then use on their affiliate sites and campaigns. Additionally, they’ll have an easy time with regard to monitoring the progress of their campaigns thanks to the program’s reporting system. Whether it’s real-time stats or detailed reports regarding commissions or referrals, affiliates will have access to these and more with just a couple of clicks. CasinoMax was established just this 2017 by Curacao-based Entertainment Software Group NV and is slowly becoming one of the best online casino brands today. A lot of this has to do with the online casino’s generous bonuses and regular promotions that go along with its extensive selection of casino games. Players who sign up for the first time at the online casino can expect welcome bonuses that can go as high as $3000 as well as regular promotions that include (but aren’t limited to) cashbacks and deposit bonuses. In addition to this, the online casino makes use of RTG (Realtime Gaming) software to ensure players get quality and variety in their casino games. As for security and the casino games’ fairness, players need not worry since the online casino has McAfee Secure SSL certification and is licensed and regulated by the Government of Curacao through master license holder Gaming Curacao.